Big Ben Gazelle 154 | Old Morris Tobacconist Victoria BC, Fine Cigars, Humidores and Tobacco Merchantile. 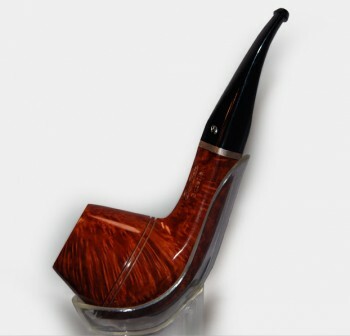 Originally founded in 1870 by Elbert Gubbels Sr, Big Ben is one of the finest producers of Dutch pipes worldwide. The Big Ben Gazelle Nature is made of aged briar and has a polished finish on the bowl and space for a 9mm charcoal filter. The Gazelle 154 has a straighter stem than the 542, and a double-grooved bowl for cooling.